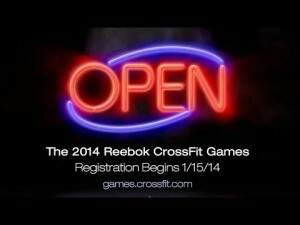 Hey ninjas,It is finally that time of the year when the entire worldwide CrossFit community comes together and competes with and against each other - the CrossFit Games Open 2014 is here! WHEN ARE WE DOING THE OPEN WOD's? The last couple of years we have had a great time doing the Open WOD's on Saturday mornings but this year we think we can have an even more epic time doing them on Mondays! We now want as many CCF members as possible to sign up for the Open using the link below and that we then have an awesome time smashing the workouts together. We will run the Open WOD as the regular workout of the day throughout each Monday, and on top of that we will have an Open Night between 17.00 - 20.00 in Gardens. In these Open Night sessions you will be able to sign up for a HEAT, warm up with a recommended WARM UP and then get JUDGED by another athlete/coach that have the right to validate your score* and then return the favor. WHO SHOULD BE DOING THE OPEN? The cool thing about the Open is that it is really Open for anyone, last year almost 140.000 athletes worldwide signed up. However some of the movements and loads may not be doable for everyone (yet) but don't worry we will help with scaling when needed and have a plan for everyone. So, the answer is that EVERYONE should join in on the fun of the Open WOD's! This means that we think that everyone of our members should at least try to come in on a Monday sometime during the day and do the workout, as prescribed or scaled, and that anyone that wants to try to do the workouts as prescribed should register asap - REGISTER HERE!!! HOW SHOULD I PREPARE FOR THE OPEN WOD's? Trust in the process and realize that all your training so far have been preparing you as much as possible - for the Open, and for any other test Life can throw at you. What we can recommend is that you keep on training hard and you might also want to come in during the Open Gyms on Saturday and fine tune some skills required in each weeks Open WOD - the coaches will be there to help you! WHAT ABOUT THE TEAMS FROM CAPE CROSSFIT? We have decided to sign up two teams from CCF Gardens and investigating if we have enough athletes ready yet in Newlands. One of the teams from CCFG will consist of some our most experienced athletes and then we are putting EVERY SINGLE registered athlete from CCF in the other team to create a huge Team CCF! The goal is to have as many as possible contributing to try to qualify this big team and then we are letting the Final Open Ranking (the standings between the athletes in this big team after the 5 weeks) decide who will take part in the Regionals Team in case we qualify. We think this is the absolutely most fair way of decide the team roster in the end. Richard Ablett will be Team Captain for the BIG team and all you need to do is sign up and use CCF as your Affiliate and then Richie will put all of you under that team. (NEWLANDS MEMBERS MUST CHOSE CCF NEWLANDS). Coach Chris will be the Team Captain for the other smaller team and organizes everything there with already set athletes. If you are a very competitive athlete with a realistic chance of qualifying in the top 60 in Africa you must video your WOD's and ANY athlete that is aiming to have a chance of competing individually or in a team should really read trough the RULEBOOK! Your WOD-Scores MUST be registered before 22.00 every Monday night as we will have to validate it for you. You will be able to register your score in the boxes! We hope to see you all next Monday when the madness kicks off!